Take a look at these important rug features before you take the plunge. There’s no way around it—busting out that tape measure before you purchase a rug is an absolute must. 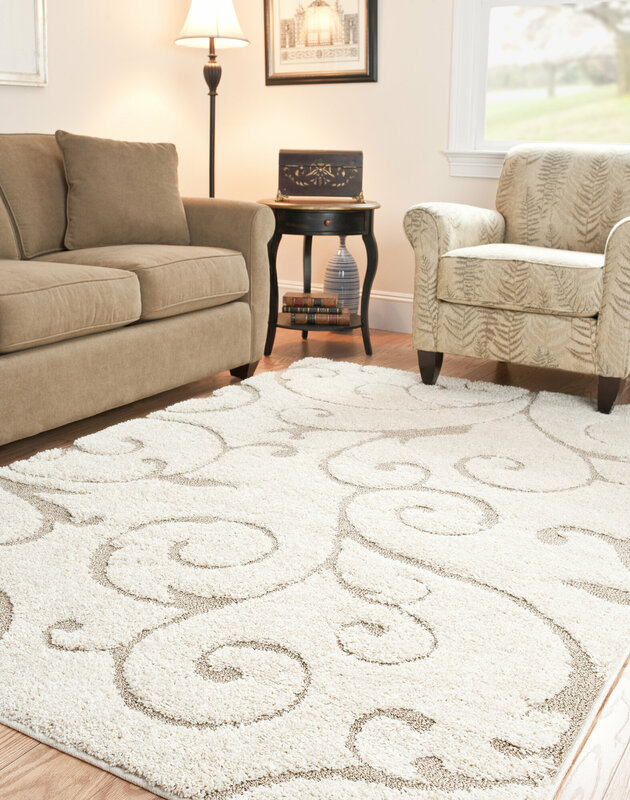 Carefully evaluate the space where you want to place the rug and consider how it will fit with other items in the room. Take a look at what furniture will be on the rug as well as how other furniture will look positioned next to it. If you have a clear vision of exactly where the rug will be placed before you purchase, it will ensure the best possible look and usability of the rug in your space. For the best look, choose a rug that’s large enough so that all the legs (or at least the front legs) of your major furniture pieces will sit on the rug. Location is paramount when considering the material and price of a rug. If it will be placed in a high-traffic area or room, then splurging on handmade, 100% wool will offer the best results. Rugs made from less expensive synthetic fibers won’t last as long, but can be useful in a quieter space as a trendy statement piece or accent. As far as investment rugs go, handmade woven or knotted rugs offer unparalleled craftsmanship that will last a lifetime and are worth the money. 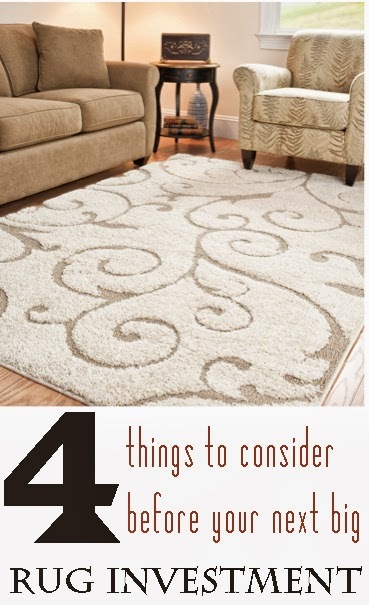 Keep the big picture in mind when choosing the right shape rug for your room. It helps to think about what types of shapes are already present in your décor, and how a rug will frame the whole space. Your best bet is a rectangular rug—it will never go out of style and will work well with most room arrangements. When making a big investment in a rug, it can be scary to decide on colors and style. Oriental-style rugs often incorporate a variety of colors, which are ideal for matching all kinds of color palettes as your décor changes throughout the years. Don’t be afraid to go with a colorful rug, but evaluate what potential color schemes will work well with it before you buy. Select a rug color that truly aligns with your personal décor style, and then you can be sure it will fit whatever you choose to combine it with in the future. For rugs you can shop by size, materials, shape, and color, we of course think Wayfair is a great option. Bio: Catie Parrish relishes the opportunity to inspire others to create thoughtful, stylish spaces in their homes. A graduate of Drake University, Catie lives in Boston with her news-nerd husband, Chris, and their wrinkly rescue mutt, Gus. An ardent enthusiast of all things tasty, curious, or pretty, when Catie isn’t writing, you can likely find her whipping up a batch of guacamole, captivated by a good book, or on the hunt for the sofa of her dreams. Catie is the managing editor at Wayfair, the internet’s largest furniture store. I never thought to look at Wayfair for rugs! I purchased my counter stools from Wayfair and I just LOVE them. I'm ready to upgrade my living room rug...thanks for the tips!